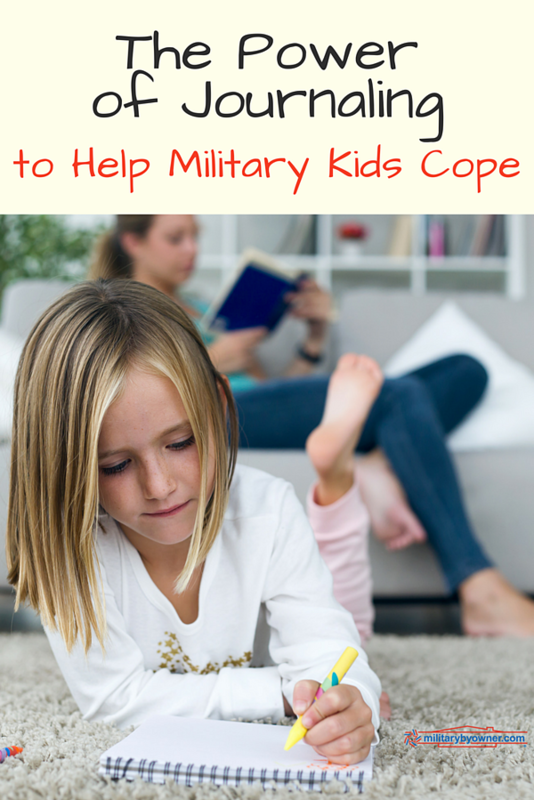 Continuing the celebration of the Month of the Military Child, MilitaryByOwner is taking a look at how one school actively supports and recognizes its military students while focusing on the importance of journaling as a form of expression for our kids. Many sources, from heavily researched science annuals to The Huffington Post, describe the psychological power the written word provides. This is never truer than for kids struggling with transitions who need a way to cope. Written or drawn thoughts and emotions are proven ways for young ones to process feelings when so much of their daily lives are out of their direct control. A place for privacy. Kids benefit from a safe space to sort out their feelings. A record of childhood. The good, bad, and in-between are all fun to read about later as an adult. A tool. Journals are a great way to foster ongoing communication between parents and children. Difficult life scenarios can be discussed in a journal and passed between parent and child as needed, because sometimes verbal conversations are just too hard. Our school’s population of military kids is large enough that a strong school administration and a vibrant and active PTA advocates for a Military Family Support Group within its ranks. The all-inclusive group meets regularly to provide information ranging from the practical, such as contact information for the local School Liaison Officer, to launching the Military Child Buddy Program, a meet and greet connection designed to pair local military kids to those transitioning into the area. The intent of the program is for military kids at any school to walk into their first day with a familiar face waiting for them. During April, the MFSG was thrilled to host Janine Boldrin of Chameleon Kids and Military Kids' Life Magazine to speak to a group of students of all ages and engage them in the art of storytelling, stressing that each child has a history to tell and how important it was to become reporters of their own stories. The group listened to written accounts submitted by children detailing very interesting lifestyles abroad, as well as how military life extends itself into volunteering opportunities for the whole family. Somehow Janine expertly managed a room of wiggly kids and energized them to become documentarians of their own very unique milkid lives. Janine wholeheartedly acknowledged the difficulties milkids face, to include her own school aged children, but highlighted the opportunities and gifts this lifestyle could bring and cited several references of athletes, actors, astronauts, and other stand-out professionals who credited their successes to their military life upbringing. Recently, another milspouse writer Anna Fitch Courie and I were asked to present a small workshop on journaling for the school’s military students. The event started by stirring the kids’ creative juices with rounds of introduction games, such as “Where Have You Lived?” and “Who Has Lived the Furthest Away?” After, we set out to transfer those recollected memories in keepsake hardbound journals. Over the course of an hour, we encouraged the kids to do much of what Janine had presented earlier in the month. Here are the steps we took to guide the kids into journaling for the first time. Asked the kids to talk with their seatmates about their "best of" lists, such as restaurants, activities, and events near their favorite cities. Anna and I anticipated that many of the kids attending were there because they would be leaving our school over the summer and heading to their next city. So we loaded them up with a few souvenirs with our school logo and a couple of kids went home with an extra prize from a book raffle. Their stories will always be a connection point to potential military and non-military friends alike. It’s comforting to have detailed adventures prepared in their minds to discuss when meeting new people, whether at school or in their neighborhoods. As the Month of the Military Child comes to an end and we put our Purple Up T-shirts away until next April, please share with MilitaryByOwner the ways your school acknowledges the military kids in your communities.